>Guess what came in the mail yesterday? Not to offend anyone, but I’m not feelin’ cover dog Rowdy. He’s cute and all, but I much prefer Hazzard, who is on the inside cover. 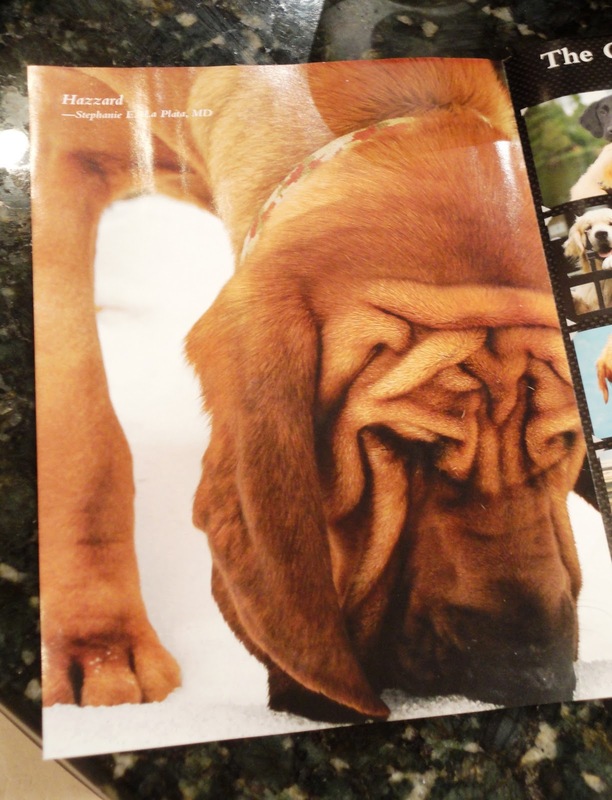 Look at those wrinkles! But remember folks, with wrinkles comes the lovely task of cleaning out wrinkles. I dig Hazzard’s name, too. Do you think his nickname is Hazzy? His full name is a bit long for my taste. Reminds me of a dog that we saw at the local dog park a few times. His name was Aftershock. No, thanks. 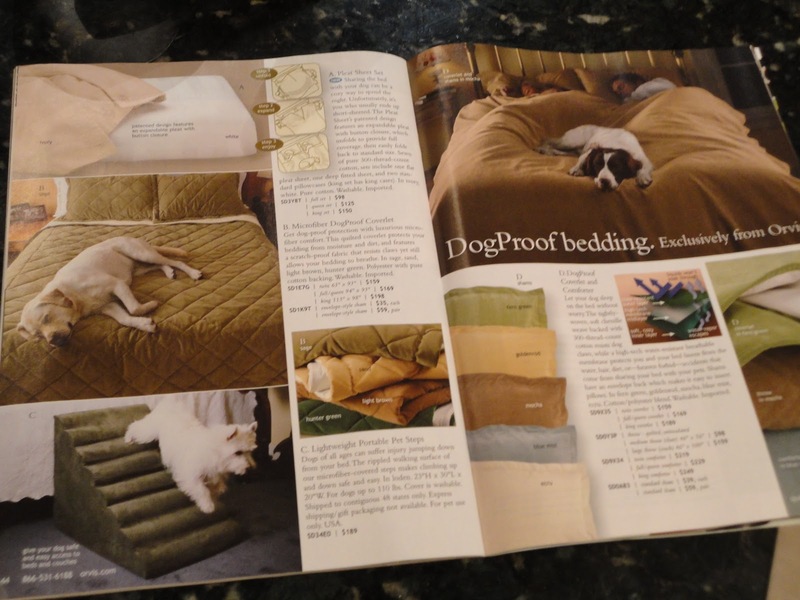 Here’s that darn “dog-proof” bedding that I’ve been dreaming about. Still pretty spendy. I need it to go on sale immediately. B.W. is everywhere I turn. 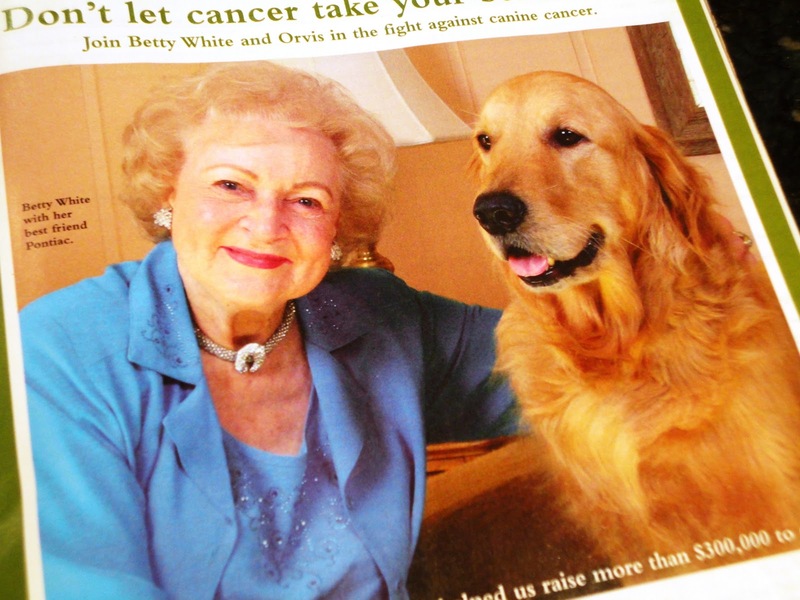 The only thing that would make this photo better is if her diamond necklace were in the shape of a dog bone. Well, I’ll be busy for the rest of the night. 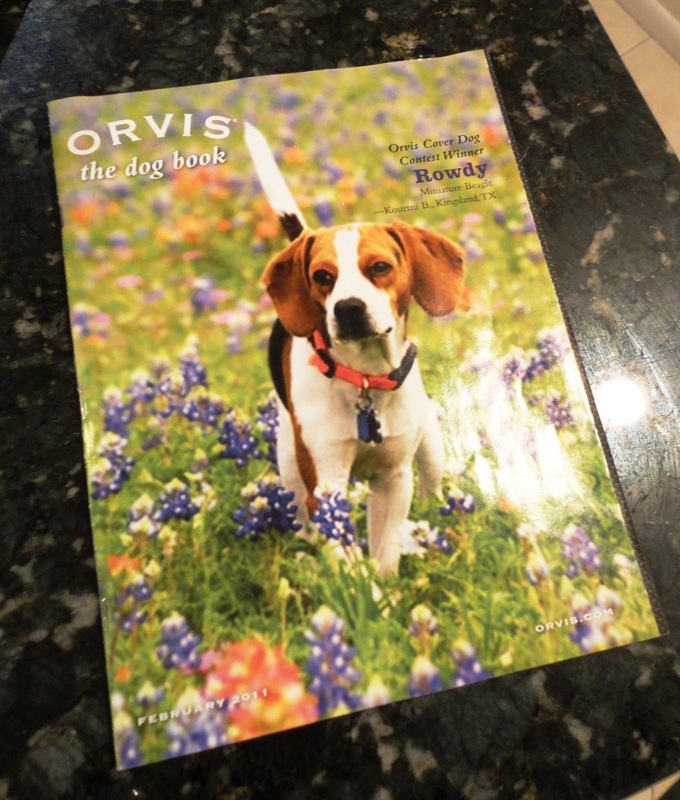 The Orvis Dog Book is 67 pages, after all. Posted on February 10, 2011 May 14, 2011 by Shannon	This entry was posted in This 'N' That. Bookmark the permalink.